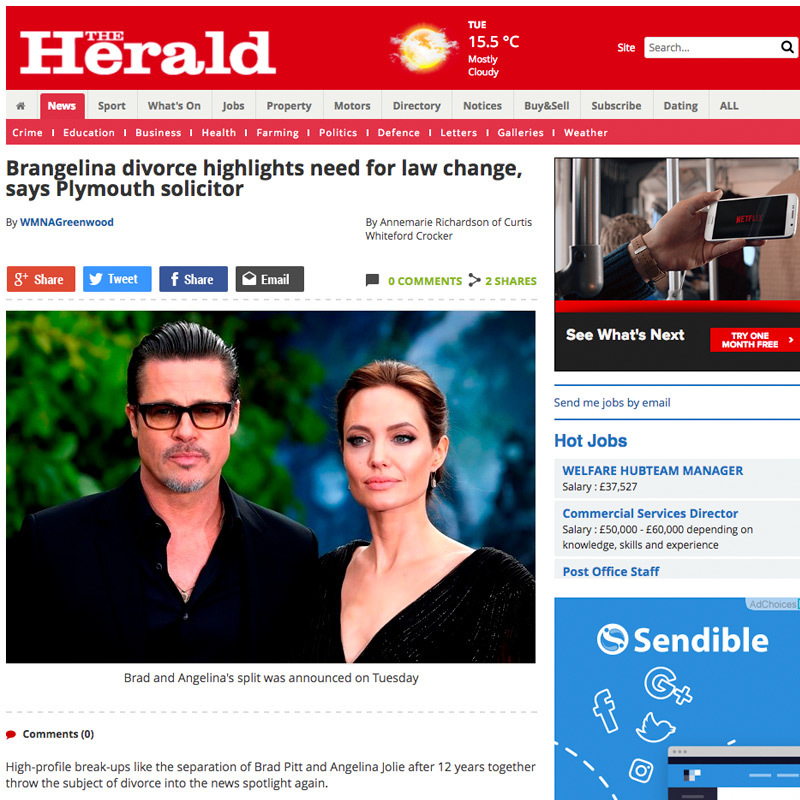 We know that a traditional approach to PR has its place, however, a press release just won’t do it anymore. You now must consider, what is the relevant content? 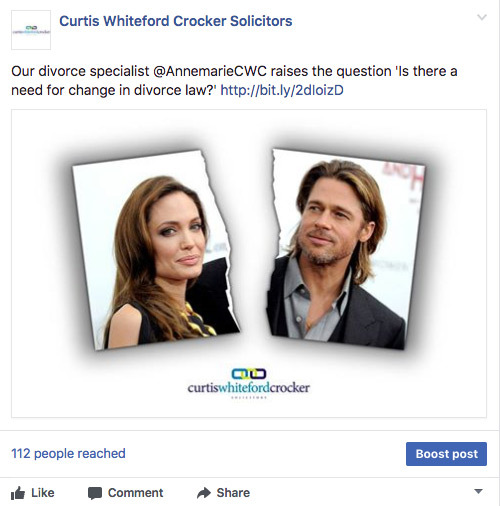 What is the relevant platform?...and what is the relevant audience? Put these three things together and you will ensure maximum engagement from customers and potential customers. 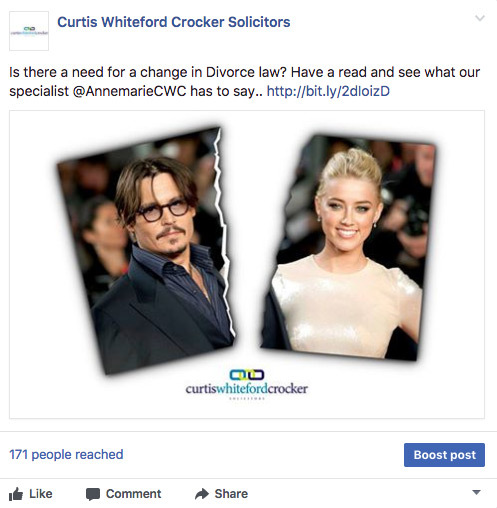 We can demonstrate this approach with our client Curtis Whiteford Crocker Solicitors (CWC Solicitors) when we recently produced a piece reactive PR on divorce law with the online and social media trending subject of #BrangelinaSplit. 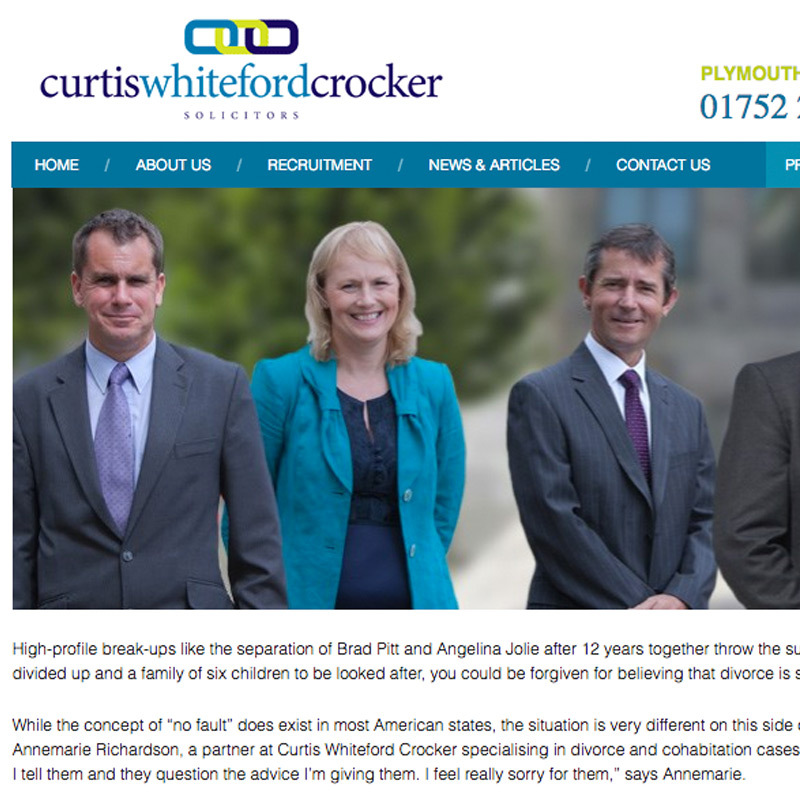 We have also spent considerable time with all the partners at CWC Solicitors to form a collaboration across the leading Plymouth firm, this means that for the specific example above, we were able to introduce Annemarie Richardson to the conversation and therefore increasing her profile within the specific discipline of divorce law.